If you have ever thought about investing in real estate, or have already begun your journey in investing in property in Cary, NC then you will quickly come to understand just how many tasks and management duties you will have to navigate to operate a profitable rental property. If you’re planning to take care of the property management and repair jobs independently you could end up in a situation where the repair and management list of items to do can easily pile up faster than you can respond. Don’t get behind before you’ve even started and partner with a property management service who can help you successfully navigate your investment property journey. 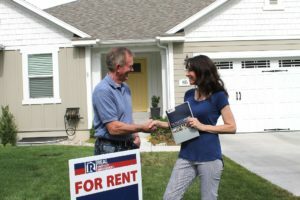 Many investment homeowners in the Cary area entrust their rental property to the daily management of specialists like Real Property Management Excellence. When you choose to work with our team, you are investing in the best. We guarantee that we take care of all management and repair issues in a timely fashion, and with high-quality work. Our goal is to keep both you and your tenants. Choose from a variety of property management services offered to your Cary, NC property and start realizing the benefits that investing in real estate can bring. Investing in real estate can be done for the purposes of obtaining a secondary income or even a way to save for your retirement. When you work with Real Property Management Excellence, your hard work is done once you have found the perfect Cary, MI rental property. If you are interested in having your Cary property managed by Real Property Management Excellence, have more questions, or would just like to speak to one of our team members, then contact us online or call us directly at 919-827-1107 today!